Hard-hitting public affairs with Amy Goodman and Juan Gonzalez. Archived programs are available at www.democracynow.org. 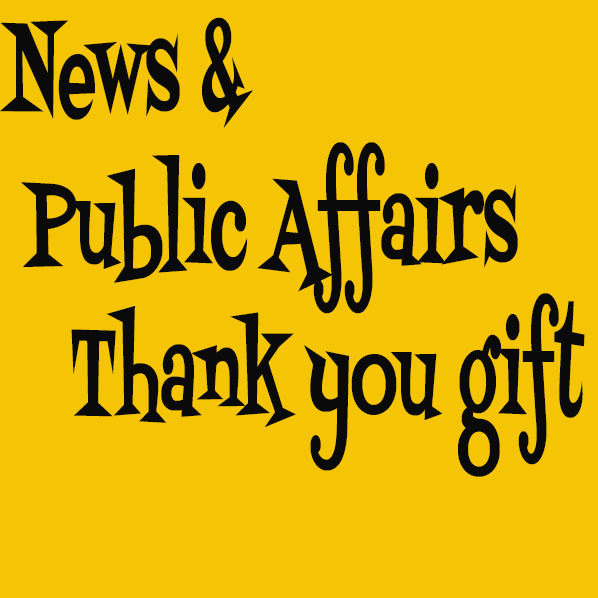 Thank You Gifts available from Democracy Now! For over 30 years, Fred Rogers, an unassuming minister, puppeteer, writer and producer, was beamed daily into homes across America. In his beloved television program, Mister Rogers’ Neighborhood, Fred and his cast of puppets and friends spoke directly to young children about some of life’s weightiest issues, in a simple, direct fashion. There hadn’t been anything like Mr. Rogers on television before and there hasn’t been since.